Many homeowners take pride in their lawns but find that keeping it green is both time-consuming and expensive. A Wi-Fi sprinkler can save you money on both. 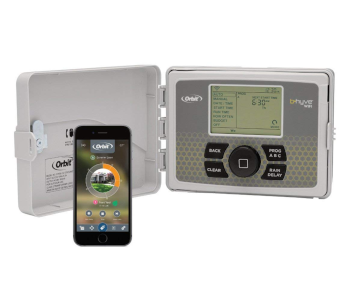 They’re superior to old, disconnected controllers as a constant internet connection allows the controllers to access weather data and adjust watering schedules accordingly, leaving you with a greener lawn and more money in your pocket. Add to that the convenience of being able to regulate your sprinklers from anywhere and you’ve got an unbeatable deal! The smart sprinkler controller market is very interesting to observe right now. On one hand, you’ve got tech trailblazers that are capturing their audience with intuitive apps and fantastic features like freeze prevention. On the other, manufacturers with decades-long traditions are stepping up with comprehensive smart solutions of their own. In short, it’s a great time to invest in a smart sprinkler controller, and here are the ones that we heartily recommend. Affordable and has manual remote control customization. 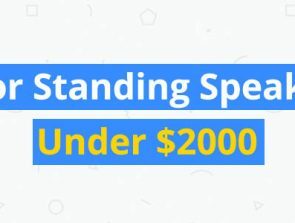 Has an excellent amount of features for the price. Easy to install and has diverse water-saving features. A “zone” refers to a sprinkler valve and the piping leading up to it and isn’t as dependent on your yard’s size. Most controllers support 8-16 zones, while smaller ones like Orbit’s 4-zone models are rarer. You’ll obviously want to pick a controller that supports as many valves as you have. Just keep in mind that if you’ve got an existing sprinkler system with a main valve it will take up one of the controller’s zones. The controllers we’ve reviewed all integrate into existing sprinkler systems with valves, piping, etc. already in place. They will not work with your garden hose or other improvised sprinkler solution. Installing a true irrigation system is a job you’d best leave to landscapers, but most controller models only require you to hook a few wires up to be integrated and ready to go. While you’ll probably be controlling most of the watering through an app, it’s important to consider the controller’s physical characteristics as well. Will you be installing it in your garage or out in the open? In case of the latter, the unit needs to have adequate protective housing to prevent water damage. Another thing to consider is the physical interface. Having all sorts of buttons & dials to play with has its pros and cons. On one hand, it’s more intuitive for some people to grasp so even your grandparents can use the device effectively. On the other, it opens the system up to tampering by an unwanted party. Weigh your options and the likelihood that someone else in your home will occasionally want to control the sprinklers before making a purchase. Just because you’re getting a smart controller doesn’t mean that you should be given any less say in how it performs. A good controller will have the flexibility to work with your custom schedules and timers along with its own. You should always be able to delay watering and override the controls altogether if necessary. The whole idea behind these devices is to let you worry less about watering the yard and concentrate more on enjoying it, and you’ll be able to do that if the controller responds promptly to weather alerts, takes seasons into account, and works in a way that ends up actually saving you money. Home automation allows you to integrate the sprinkler controller into your existing smart device eco-system. As we’ve seen, many controllers can be voice-activated, but that’s just the fanciest & most basic step. You’ll get much more use out of using IFTTT and creating applets that take other devices actions as cues for your sprinklers to start/stop or create regular spreadsheets that let you keep track of water usage and costs. 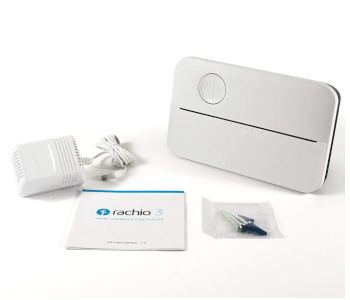 Rachio made its debut back in 2015 and showed us just how much water there is to be saved with a smart sprinkler controller. Three years and many small tweaks later, their third iteration is without question the best model you can buy. It’s still as easy to install and control as the original, yet brings marked improvements to the controller itself and the power of its app. It might be among the more expensive entries on the list, but you’ll more than make up for the difference in no time by seriously saving on your water bills. Rachio 3 easily connects to your existing terminals with zone wires and a single C-wire. 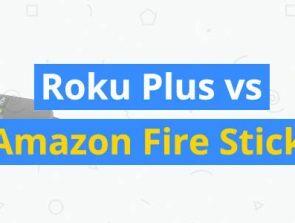 Once Rachio is plugged into its power brick and you’ve synced it with the free mobile or web app, you’re ready to begin setting up schedules and tinkering with other numerous app settings. If ever you need to manually water your yard, the Rachio allows you to do so with a press of its prominent single button. The new LED strip on the device itself has been divided into sections and will indicate which zone is being watered. What really makes the Rachio 3 stand out though is the app. It’s superbly intuitive while giving you a great deal of control over scheduling and automation. Thanks to a new weather aggregation technology that pools the data from numerous satellites and weather stations worldwide, Rachio always has a precise forecast on which to base the sprinkling schedule. Have a watering scheduled on a rainy day? Rachio will skip it, saving money and avoiding puddle buildup. Even more interesting are the weekly and monthly flex schedules that take shifting weather patterns and seasonal changes into account. Freeze and wind skip come into play during colder months too. The controller will forego sprinkling if it’s too windy outside or if there’s a good chance that the water will freeze. Rachio 3 also boasts a wide array of smart home integration options. 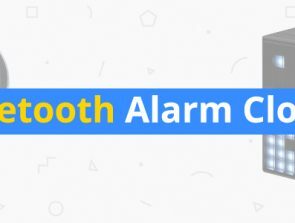 You can connect it to smart hubs like Wink and SmartThings, control the watering process with voice commands through Google Assistant or Alexa, and make use of Rachio’s own IFTTT channel to have it respond to actions of other smart gadgets. Chances are you’ll want to install Rachio outside, and for that you’ll need to purchase a separate enclosure. While the app is easy to use, it’s annoying that you can’t save a zone template and apply it to all the zones you want. Since there isn’t one, you’ll need to configure each zone’s settings separately. Seeing veterans in a niche adapt to new trends is almost always a pleasant experience as they excel at combining decades worth of knowledge with the latest smart tech. Such is the case with Orbit, a well-known sprinkler system manufacturer that’s been in the business since the 1970s. 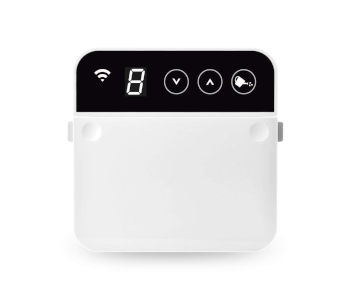 The B-hyve is their first major smart sprinkler controller. More importantly, they managed to get so many things right on their first try! Sure, it lacks Rachio’s smart home integration options but does everything else almost as well at a fraction of the asking price. If this is your first smart sprinkler controller, chances are you’ll be replacing an old Orbit model with it. This makes installation very straightforward as all you basically need to do is hook it up to the old system’s common wire and zone terminals. The B-hyve is housed in a locked waterproof enclosure that can be installed in and out of doors. Inside there’s a responsive control panel with an LCD display from which you can program a watering schedule, set delays & timers, or water each zone manually. The mobile app is well thought-out and has many advanced functions similar to Rachio’s. You can name & control each zone individually and enter its purpose, soil type & sun exposure during setup to make watering schedules even more precise. B-hyve takes advantage of the WeatherSense technology to receive accurate local weather updates. Rain delay skips watering if significant rainfalls are to be expected. You also receive push notifications each time a watering is successfully complete or has been skipped. This controller doesn’t have much in the way of smart home support, but it does work well with Amazon Alexa. Speak the right commands into your Echo speaker and you can have Alexa water zones, inform you of delays & schedules, or tell you how long it’s been since you’ve watered a portion of the lawn. Rain delay is a welcome money-saving feature but isn’t trustworthy all of the time. If you’re keen on controlling the sprinklers via the physical controller you’ll need to bring a flashlight along as the LCD panel doesn’t have a backlight and is only visible during the day in well-lit areas. Every sprinkler controller manufacturer says that their products reduce water consumption, but by how much? 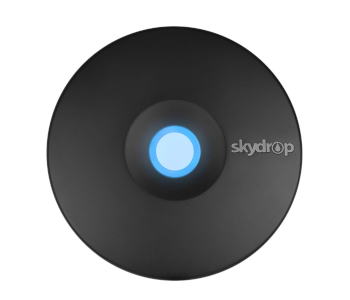 Skydrop says that Arc, their newest Wi-Fi sprinkler controller uses up to 50 percent less water than “dumb” ones and is up to 40 percent more efficient than the competition. While these exact numbers are debatable, it’s true that the Arc is loaded with water-saving features. Can it compete with the likes of Rachio and Orbit Though? Even though most smart controllers are easy to install, Skydrop has taken Ark’s installation to the next level. On one hand, you’ve got color-coded ports for power, common & zone terminals, and valves. On the other, Skydrop’s site is full of useful installation videos that walk you through the entire process. Once the physical part is over, the Arc creates its own internal network through Wi-Fi direct and establishes a link to your smartphone that persists even if your home’s Wi-Fi is offline. 13 zones are supported and each can be customized to a great extent. Detailed local weather updates and possible water usage restrictions which apply to your area are the basis for this. Arc asks for additional information like the type of plants that occupy the zone, whether it’s on a slope, and how long it’s exposed to the sun each day to fine-tune its watering schedule. 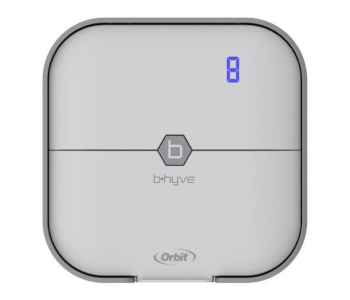 Unlike Orbit’s B-hyve, the Arc works with IFTTT along with Google & Amazon’s virtual assistants. This lets you create commands for it to execute as a result of things done by other smart gadgets. For example, you can turn the sprinklers in a zone on when your smoke alarm goes off, or adjust the water consumption based on Nest’s monthly expense reports. The idea behind a separate network that’s always connected to your phone is great, but in reality Wi-Fi direct doesn’t work all that well, at least not on Android phones. Skydrop’s app is noticeably laggy too. The screens take a long while to load and tapping your phone doesn’t give an immediate response more often than not. Next up is RainMachine’s 8-zone controller that promises big savings, lush gardens, and total privacy of your data in one elegant package. The company offers a comprehensive app that users can contribute to through the open-source API. It connects to some of the foremost weather services in the world to gather up-to-date weather data while keeping your zip code information, Wi-Fi passwords etc. local and inaccessible. The Mini-8 is the most elegant controller on the list. It’s small enough to comfortably replace your existing controller setup and has LED-illuminated touch buttons so that you can access sprinkler control even from your dimly-lit basement. Even though the controls are splashproof, you should install the device indoors. The app works mostly like other ones we’ve already reviewed, with the notable exception that it can pick up on multiple RainMachine controllers you have and control them simultaneously. Freeze and heatwave protection are another interesting feature – based on weather reports it aggregates, the Mini-8 can either increase the watering time to keep your lawn green, or postpone watering so that ice crystals don’t form. The app offers a comprehensive overview of daily – yearly logs with statistics on watering times, gallons of water used, interrupted watering sessions etc. If you want to suspend watering for a while you can set the Mini-8 to snooze mode to put a temporary stop to all activities. 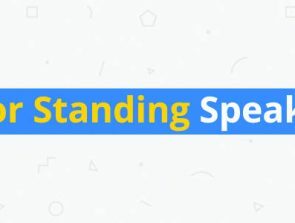 Since the code for the app is available online, its user base is constantly improving upon built-in features and adding new ones. You’ll need to have a strong Wi-Fi signal for Mini-8 to work properly. It’s prone to connection issues which may become annoying. Thankfully, there is an offline mode that relies on previous statistical data in determining how to set the watering timer in the event of signal loss. 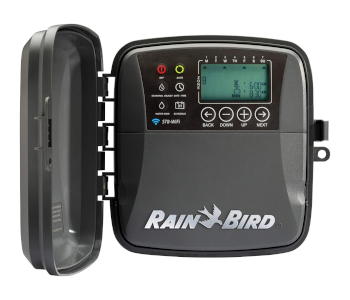 Rain Bird is another long-time manufacturer of all things related to lawn watering who’s entered the smart sprinkler controller market. Their outdoor model, the ST8O-WIFI, will keep your grass green much like its competitors from Orbit and is a good choice if you’re used to controlling the sprinklers through a physical interface and want the convenience of an app to serve as a backup. There are a few quirks to make note of, but in spite of that the ST8O-WIFI is sure to find a forgiving audience. The outdoor version of this sprinkler controller comes with a solid enclosure that protects its internal components and physical interface from the elements. There’s also battery backup power available should there ever be a power outage, making this one of the most reliable models we’ve tested. You can also buy the indoor version for $10-ish less if you have a garage or basement setup. Everything except the calendar forecast can be accessed from the controller itself, and the app has been designed around that fact. At first you’re presented with screens that allow you to configure the zones and manually control watering times. Dig a little deeper and you’ll find smarter features like scheduling that’s in-line with the weather and season, or extensive push notification controls you can adjust to alert you only to relevant info on the controller’s actions. The ST8O-WIFI isn’t as easy to install as other models we’ve tested since it requires you to screw the sprinkler leads & power wire into specific posts, so call an electrician to do it for you if you aren’t confident in your DIY skills. The app needs to sync with the unit each time you start it up. This can take a while. Finally, the seasonal & weather adjustments are of limited use sometimes – the controller will adjust watering times based on them only slightly, resulting in a potentially dry lawn. Do you have a small garden or backyard you want to look its best? If so, you don’t need to get an expensive 16-zone Wi-Fi sprinkler controller when Orbit’s 4-zone tyke is enough. Better yet, it comes with the same amazing app Orbit’s best value model does, meaning you aren’t missing out on any cutting-edge smart features. The 4-zone model is currently priced at around $60, which is a steal in our book! The biggest difference between the 4-and 8- zone B-hyve timers and the 57950 is their minimalistic appearance. There’s no trace of a physical interface left as everything is controlled via the app. You can pair the device to your phone either through Wi-Fi or Bluetooth and even if the former should fail the app stores your last-saved configuration, running it until told otherwise. One thing the app does incredibly well is act as a remote for manual zone watering control. Select how many zones you want, set the timer, and press a button to save that setup for instant or later use! Of course, you also get access to smart watering schedules affected by local water conservation edicts, soli & plant types, and exposure. Generally, the timer is easy to set up if you’ve dealt with sprinkler controllers before. Novices might find it a bit more difficult as the installation instructions are vague. Other than that, the unit suffers from spotty Wi-Fi connection and tends to lose track of the watering schedule if the connection hasn’t been established for some time.